Get ready for more sunflower love! 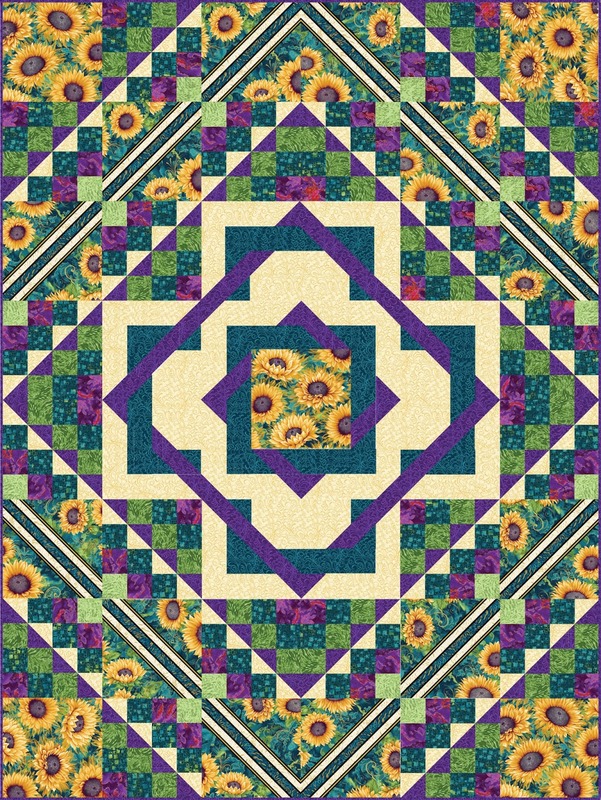 Today Ann Lauer is back to share a virtual trunk show of her quilt patterns featuring the Here Comes the Sun collection. Bargellos work up beautifully with these fabrics! When you cut those great big sunflowers up, it creates wonderful movement and color play. 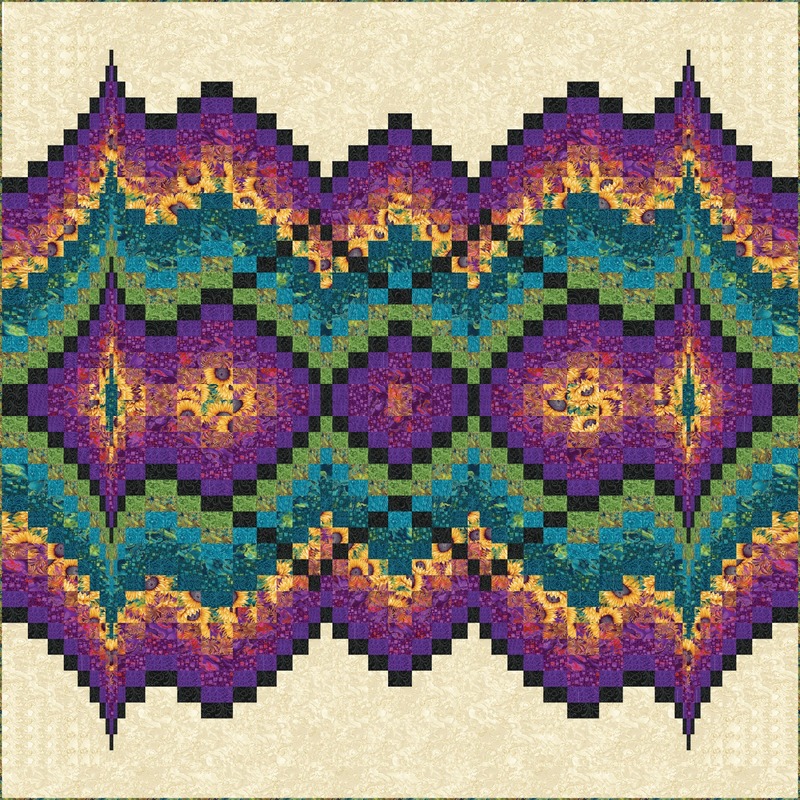 I think the range of colors in these quilts make them look almost like watercolors. 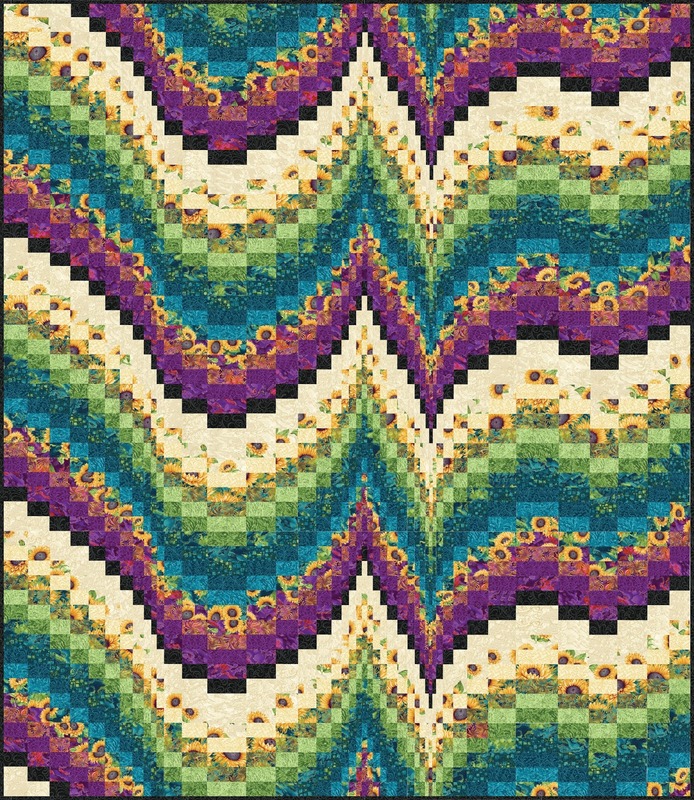 It’s Magic is a great way to try out a bargello quilt on a small scale. 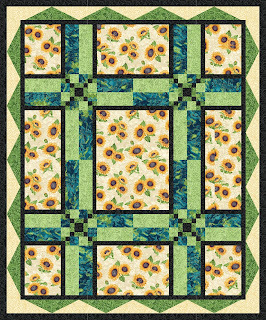 You have the added fun of fussy cutting sunflowers and appliqueing them on top, too! I prefer to sew this with the quilt-as-you-go technique, and using Creative Grid Flannel to keep everything straight. Click here to find the It's Magic pattern and kit options. 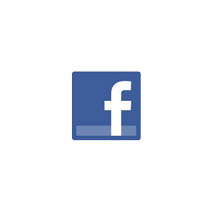 Free Fall, like the name suggests, has such a huge drop in it. 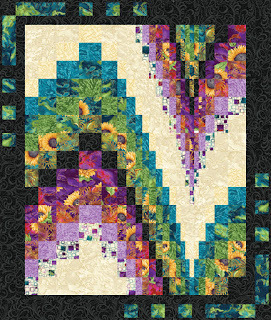 I love the outer border on this quilt—it enhances the drama of the quilt. 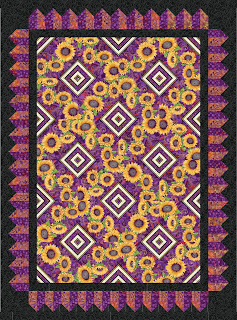 Click here to find the Free Fall pattern and kit options. Morning Melody is always a favorite. It’s available in lap, queen and king sizes, and the pattern has been designed specially so the main movement will fit on the top of a bed. Click here to find the Morning Melody pattern and kit options. Reflections is a brand new pattern. I love the how the bargello design flows across the center of this quilt! 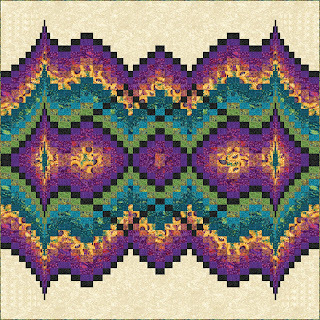 Click here to find the Reflections pattern and kit options. I talked about the sunflower stripe the other day, and here are a few quilts that put that stripe to work. All That Jazz is one of my favorites. 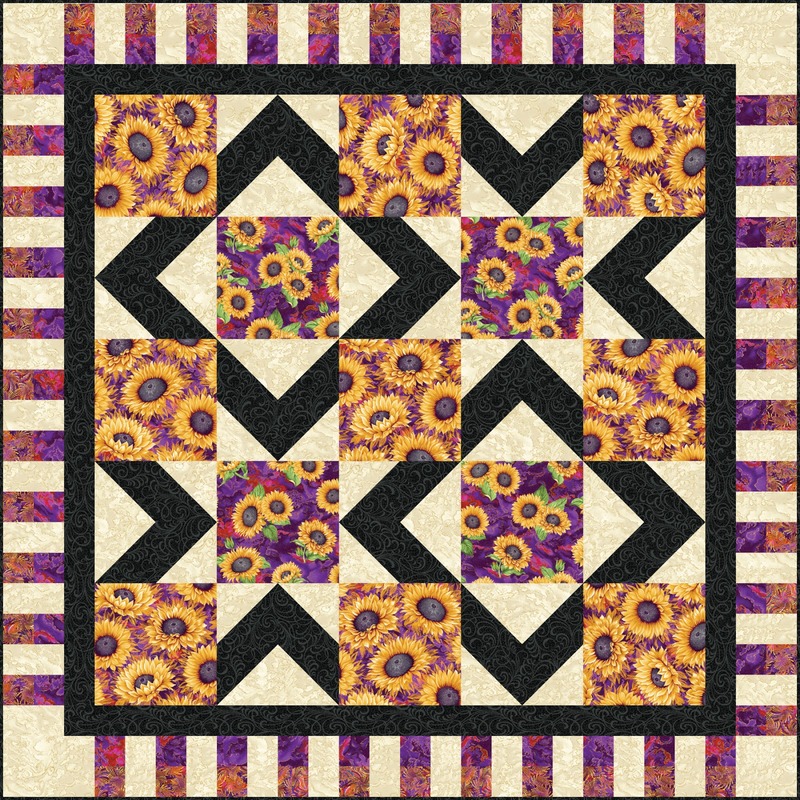 It starts out with a medallion center, and then it’s surrounded by easy pieced borders and fussy-cut stripe squares. It looks fancy, but the fabric does the work. Click here to find the All That Jazz pattern and kit options. The stripe does all the work in Steppin’ Out and Around the Block—simply cut the fabric and assemble! I love the outer border on Around the Block. It just makes the quilt. 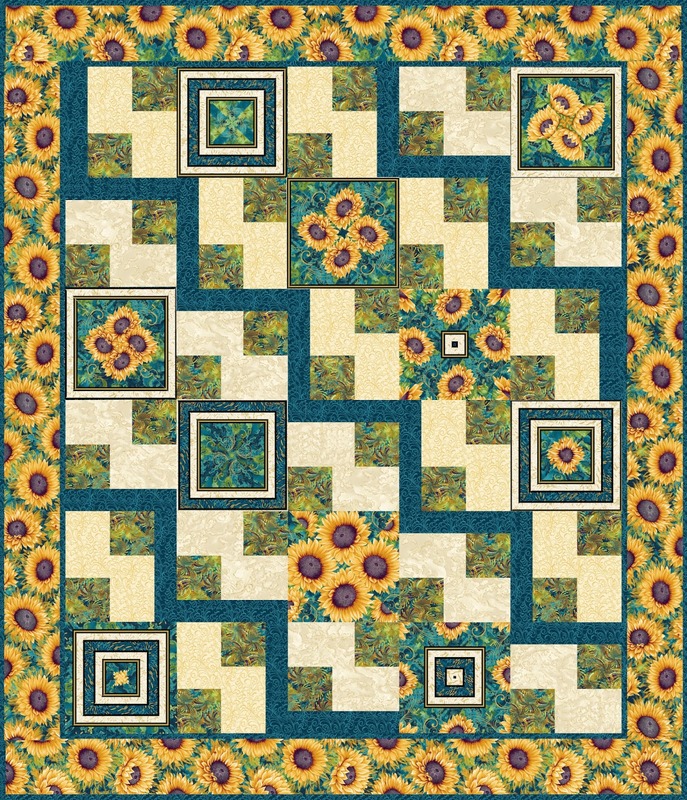 Click here to find the Steppin' Out pattern and kit options. 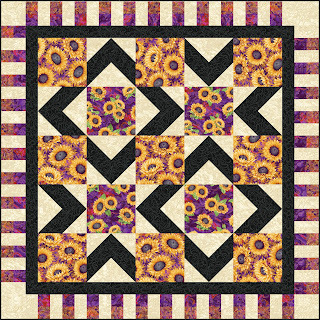 Click here to find the Around the Block pattern and kit options. 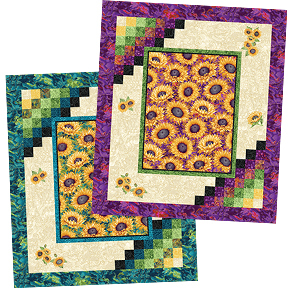 Both the large and medium sunflower prints work beautifully as a focal fabric. 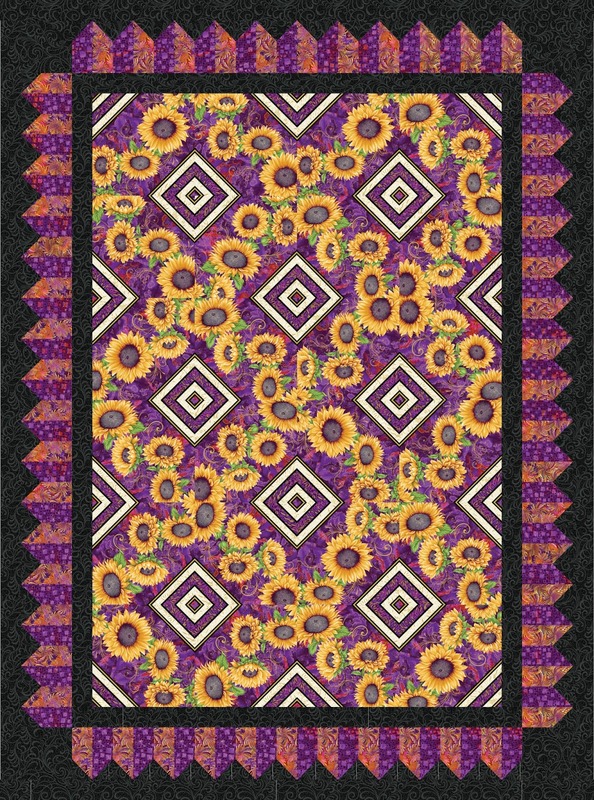 I used focal sunflower prints in the middle of Center Stage, Stardom, and Imagine This. They provide such a great place to show off the prints. 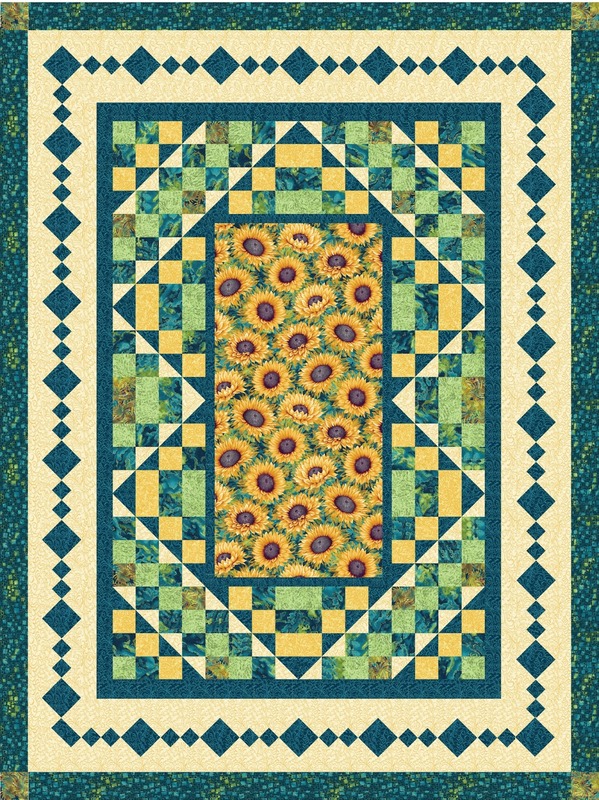 Click here to find the Center Stage pattern and kit. Click here to find the Stardom pattern and kit options. 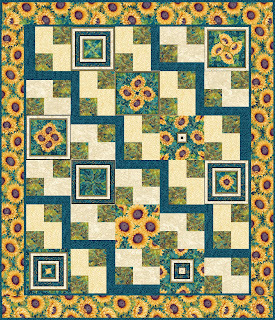 Click here to find the Imagine This pattern and kit options. 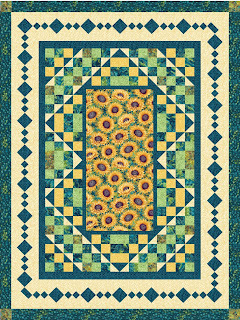 Sunswept is available as a free pattern download on Benartex's website. 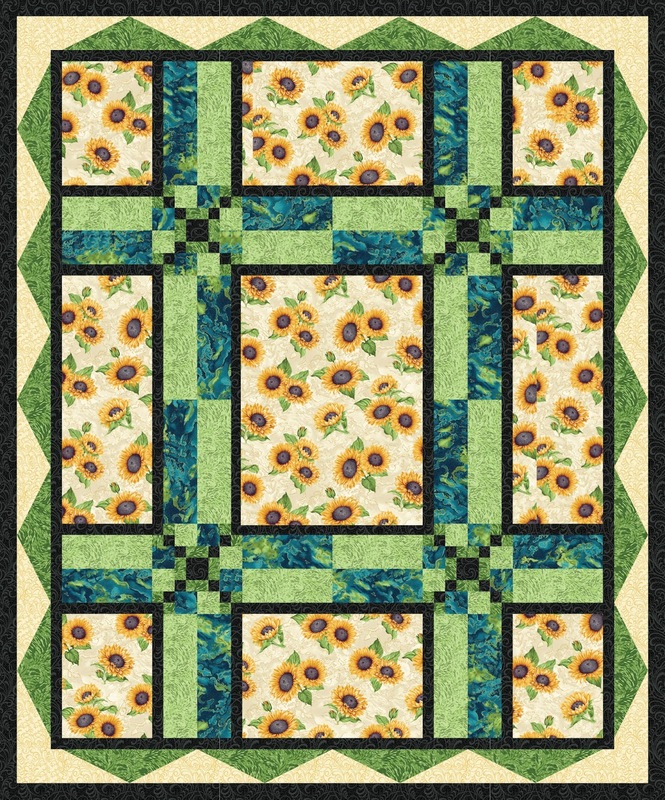 It also features a large rectangle of the main sunflower print, surrounded by a pieced border and fussy-cut sunflower appliques. 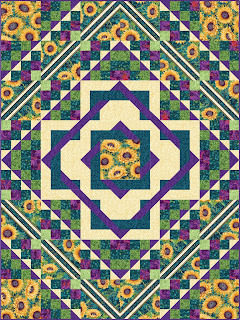 Click here to download the free quilt pattern. Find the kit here. 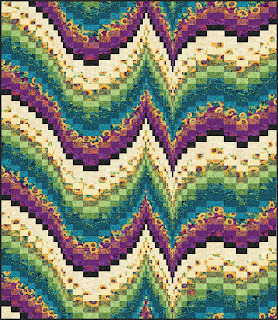 This gorgeous fabric line does create some of the most beautiful Bargello quilts along with all of the other lovely Here Comes The Sun quilt patterns! I can not wait to get some. Thank you for sharing all of these fabulous patterns and spectacular fabrics!